Edit: Unfortunately, the hawk’s frostbite went deeper than previously thought, and the bird had to be euthanized. However, I’m grateful that the hawk’s last days were full of warmth and food, with little to no suffering. Deering Oaks Park is not small, its grassy slopes and tall trees spreading around a small pond near downtown. The hawk is relatively camouflaged, brown and bronze and tawny, just like the surrounding tree bark. As we drove along the edge of the green-space, my spirits fell; this would be impossible. Luckily, we weren’t the only ones on the look-out. In fact, we didn’t spot the hawk first, we found the birders! A small group created a semicircle around a bare tree branch, brandishing some of the largest, longest camera lenses I’ve ever seen. I practically leaped out of the car while it was still moving, my eyes easily following the outstretched fingers until resting on her (or his) stately form. Great Black Hawks are beautiful. Dark eyes peered down at us, its sharp yellow and black bill perfect for scooping up unsuspecting squirrels from the ground below. Birders of all ages gathered to just stare at the rare creature, from toddlers to my 84-year-old Grandma Kathy. The general mood was one of gratitude, and everyone passed camera lenses and binoculars back and forth to share the experience. After the holidays I left Maine, returning to my home in Northwest Florida. But the hawk remained, continuing its diet of squirrels and varmints. While food seemed to be in large supply, a horrific storm proved too much for the bird. On January 20, a local found the hawk on the ground, unable to move. Yet, the Great Black Hawk experienced a bit of luck: rather than leaving the bird, the man fetched a box, then happened to come upon another women who knew of the species’ rarity. Together, they worked with a team to transfer the bird through a sleet and freezing snow storm to Avian Haven, a wild bird rehabilitation organization. Thanks to heat from the volunteers, by the time the hawk arrived it had opened its eyes. Through Facebook posts, staff at Avian Haven disseminated good news: “The hawk is stable, and in good body condition. Preliminary bloodwork indicates mild debilitation, with further bloodwork pending. No fractures were seen on radiographs. There is a small wound on the lower beak, which is not significant, but will be cleaned and treated. The main concern remains frostbite to both feet, with the right foot worse than the left. 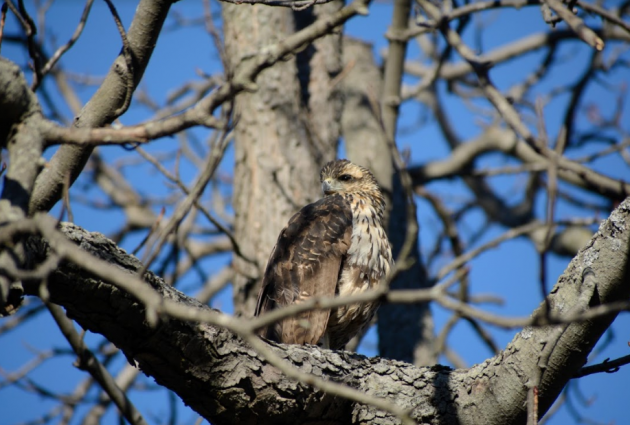 Frostbite damage can take a while to declare itself, so it may be a week or more before we know what we’re dealing with.” On January 22, the hawk ate solid food – another promising sign. The bird will remain under their care until Avian Haven staff determine the creature has stabilized. After that, it’s up to the Maine Department of Inland Fisheries and Wildlife, as well as the U.S. Fish and Wildlife Service, to decide its fate. Personally, I doubt the Great Black Hawk can be released in its native range, as something must be wrong with the bird’s internal navigation system (Maine is very far from Mexico). Additionally, the raptor wouldn’t survive a winter here in the Northeast. I hope they keep the bird in a safe, reputable wildlife park, free from suffering and able to inspire future generations of avian enthusiasts with its incredible story. It is amazing how deeply this hawk has touched people–the Avian Haven FB posting announcing its demise has 1,100 comments, 1,672 Shares, and over 4,600 “likes,” loves, and sad faces. 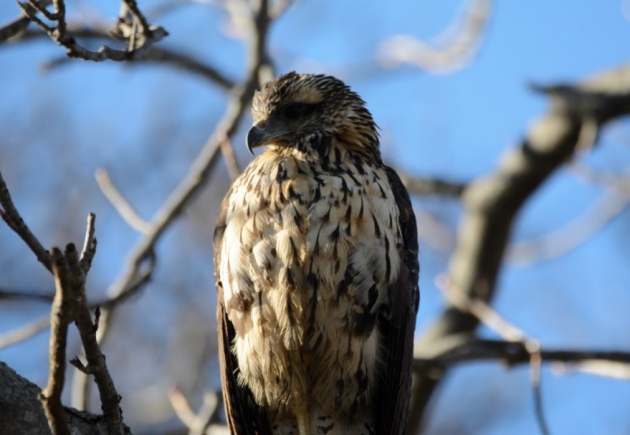 This is far beyond the numbers of birders, locals, and other people who observed the Great Black Hawk, so you have to wonder what it is that connects people to this wild, lost bird.